Free cakes and laughs! What could be better? This is a lovely show that's all about having a nice time and enjoying nice things! You will be served a line-up of 6 lovely comedians with a side of freshly homemade cake. A Piece of Cake! 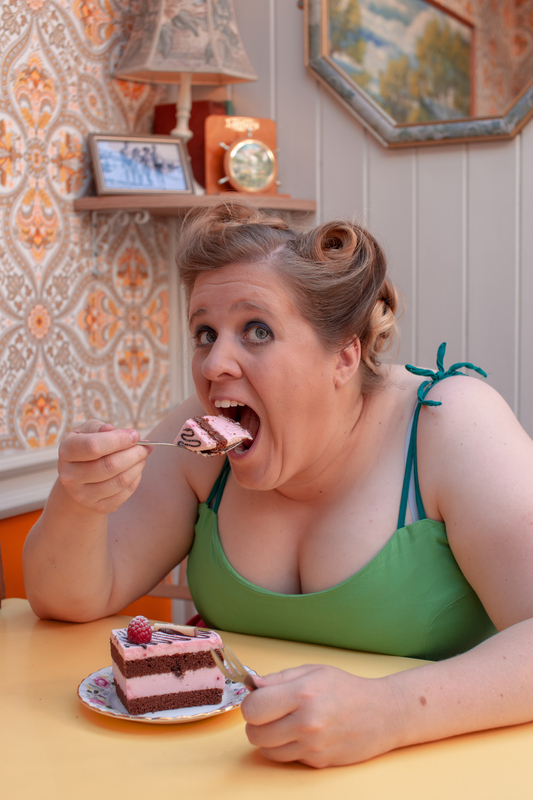 is hosted by Lisanne Fridsma, a Dutch cake loving introvert who is serious about comedy. Lisanne was SYTYF semi-finalist (2015) and Bath New Act of the Year finalist (2017). We will spoil you with a marvelous line up of awesome comedians who will make you laugh and you'll go home feeling all warm and fuzzy inside. * There will be a gluten free and a vegan option, but however much we’d love to we can’t accommodate for all food allergies. So if you have an allergy, please feel free to bring your own cake!